My office sponsors postcard contest for children annually. We do this in collaboration with a chidlren's magazine. 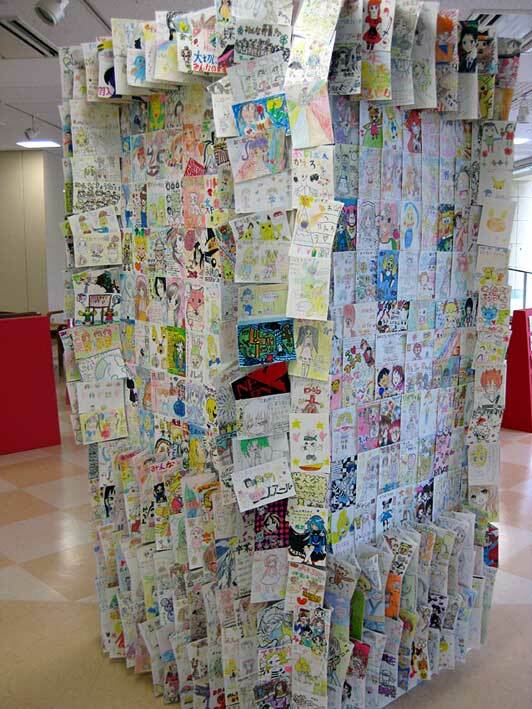 Chiildren submit their postcard on which they are free to draw, paint any artwork. 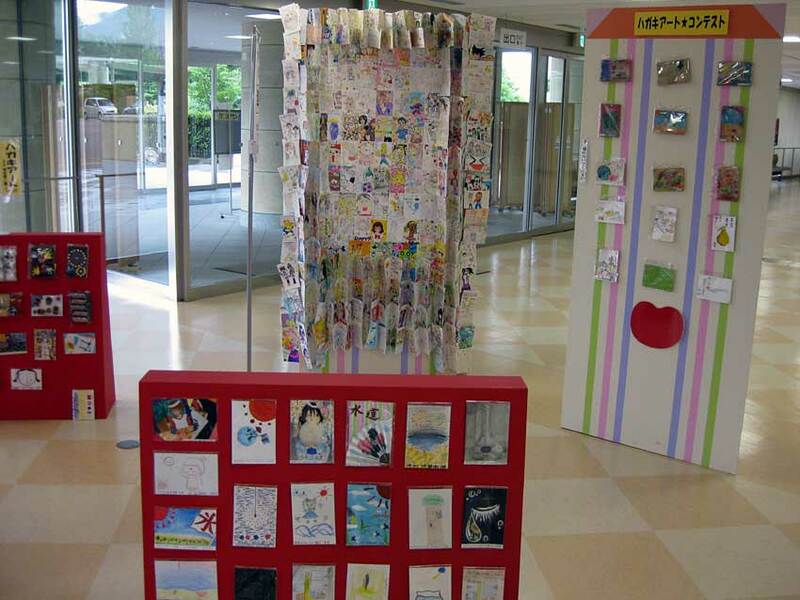 The cards are then exhibited on the ground floor of my office building. Don't they emernate certain power? We receive a lot of cards, as you can see in the photo. I am personally looking for some future haiga artists, but children are more interested in depicting anime charactors they adore. I guess that is a good thing, the children are getting used to producing artworks and illustrations, and that is an important beginning.